Andrew O. Eshelman has over 30 years of experience in commercial real estate in Washington, DC. Prior to joining Washington Property Company, Mr. Eshelman was a principal in a joint venture with Stonebridge Carras, formed to pursue real estate acquisition opportunities of existing assets in Washington, DC. In addition, Mr. Eshelman co-founded MGP Real Estate, LLC in 1993. MGP acquired over 8.5 million square feet of commercial properties including urban trophy office buildings, suburban mid-rise and low-rise office parks, flex office warehouse buildings, bulk warehouse buildings and suburban strip centers. These assets, with a value of over $1 billion, were originated, structured, capitalized and managed by MGP. Prior to forming MGP, Mr. Eshelman held senior management positions in MGA, an office development company; South Charles Realty, the loan work-out subsidiary of Bank of America; and the Toll Road Corporation of Virginia, an infrastructure development company. 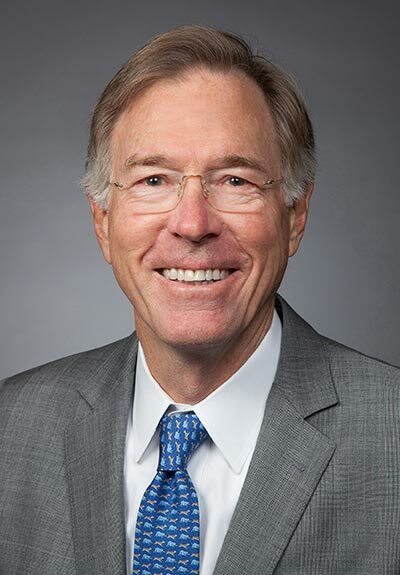 He began his career as an attorney with Baker & Hostetler, in Washington, DC, where he was principally engaged in corporate and real estate law.